Richard the Lionheart, son of Henry II, was one of the great warrior kings of England from 1189 to 1199. Richard the Lionheart's real name was Richard Plantagenet. Richard also earned another nickname The Absent King because he spent only six months in England during his reign as king. He was a chivalrous knight and a brave warrior during his reign as king gave him that nickname Richard the Lionheart or Coeur de Lion. Richard I was riding next to a castle without protection and was shot by a bowman with an arrow. He refused treatment for the wound which got an infection and Richard the Lionheart died on April 6, 1199. Richard was buried in the Fontvraud Abbey in Anjou France. His name has reached epic and mythological proportions and is best seen in literary works such as Robin Hood and Sir Walter Scott's novel Ivanhoe. 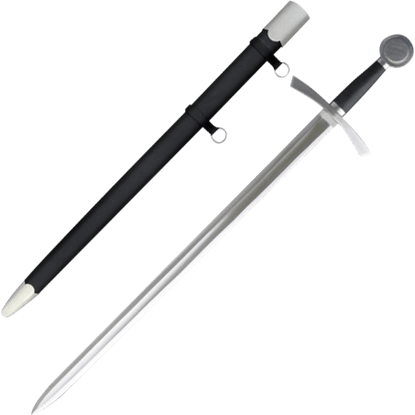 Our Richard the Lionheart swords can be used for display or for battle re-enactments, each reproduction is created to the specifications of the original. The dimensions and weight are accurate on every piece so you get a medieval weapon that is actually balanced and fun to hold instead of just pretty to look at. Medieval times were sometimes brutal, sometimes romantic, but always a source of intrigue. 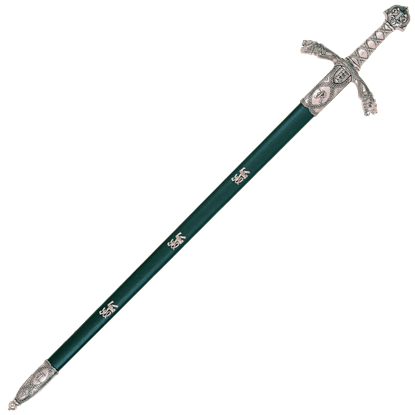 We invite you to share in the experience of an era past with our collection of Richard the Lionheart swords. All our Richard the Lionheart Swords are expertly hand-crafted and authentic replicas! You can display them in your office, home or for Medieval Reenactments. Son of Henry II and King of England, Richard I was known as a powerful king, a chivalrous knight, and a fearless warrior. He was called Coeur de Lion or Richard the Lionheart, and he is also known as the Crusader King. Son of Henry II and King of England, Richard I was known as a powerful king, a chivalrous knight, and a fearless warrior. He was called Coeur de Lion or Richard the Lionheart, and he is well known as the Crusader King. Inspired by the warrior king of medieval England, the King Richard the Lionheart Sword with Plaque features gorgeous detail throughout its construction. 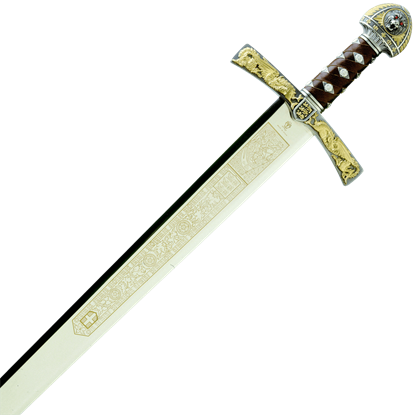 Golden tones decorate the extravagant hilt, and Celtic patterns adorn the blade. The famous medieval warrior king of England, Richard the Lionheart was known for his military leadership. The King Richard the Lionheart Sword with Sheath is a remarkably regal decorative blade inspired by this historic ruler. King Richard I was known lovingly as Richard the Lionheart for his bravery, chivalry, and prowess as a leader in battle. 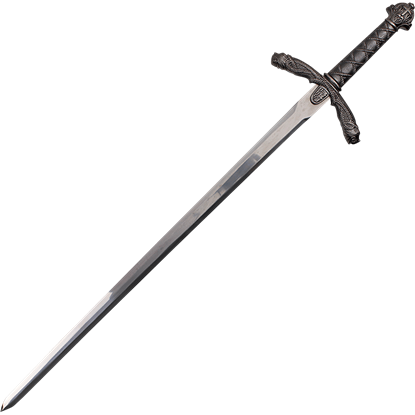 This Lionheart Sword is a tribute to the great Crusader King that is an ideal sword for your medieval reenactments. Known as the Lionheart, King Richard I of England was the greatest leader of the third crusades and a master battlefield tactician. 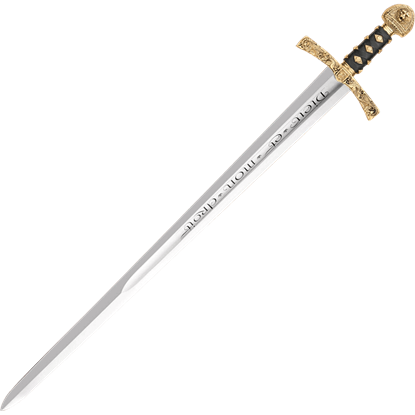 This Lionheart Sword of King Richard, made from carbon steel, is inspired by this stalwart leader. The Lionheart sword is a beautiful representation of the sword King Richard carried on his quest for Jerusalem. 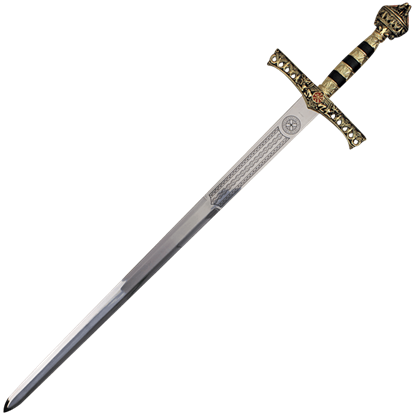 The Richard the Lionheart sword has a stainless steel blade with a silver and gold hilt. 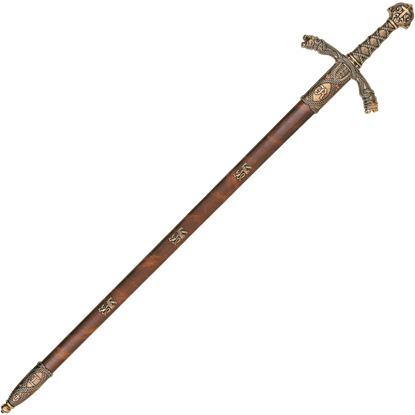 It is a great decorative sword. 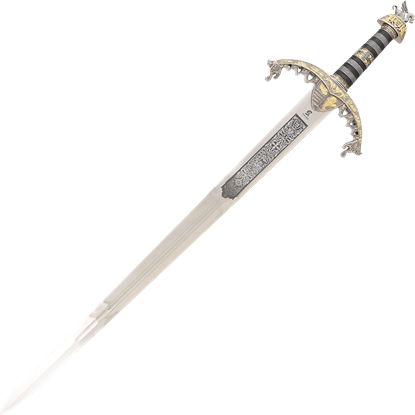 Inspired by the sword of the legendary warrior king Richard I of England, the Richard the Lionheart Sword is an ornately decorated take on the royal weapon. A Lionheart coat of arms appears at the center of the silver tone guard.